Truth Fellowship Live | Bismarck ND Church | What is Truth? In this day of relative truth, we often are confused about what is true or false. Our society wants us to believe that truth is relative…that is to say truth is dependent on one’s perspective regarding the topic at hand. But even though our society is pushing perpetuating this line of thinking, it is not anything new. People have attempted to bury truth ever since man fell into sin. Even Pontius Pilate was bewildered by the concept of truth. The discussion of Jesus’ mission is presented in John 18:33-38. The truth about truth was important in Jesus’ time and it is important in our time. So, what is truth? We can learn much about truth by its definition. Truth is confirmation with reality. Truth is “telling it like it is.” Jesus said that He is the way, the TRUTH, and the life (John 14:6). That is the way it is. He is the only way back to God. But we can also learn about truth by looking at what truth is not. Many have a faulty idea of what truth is. Let’s look at four beliefs about truth that a not true. Many want to say that if something is true it will work. However, just because something seems to work it does not make it true. William James claims, “Truth is the expedient in the way of knowing. A statement is known to be true if it brings the right results. It is the expedient as confirmed by future experience.” This approach confuses cause and effect. As a scientist, I saw confusion of cause and effect often. Just because two items are highly correlated does not mean one causes the other. For example, it has been reported that as the number of pastors in Cincinnati increased the number of drunks increased. The conclusion was that pastors caused drunkenness. Of course, that is absurd. If something is true, then it will work. But the opposite is not true…if something works, then it is true. Many untruths seem to work, but they will fail in the long-term. Some have held that truth is what is internally consistent—it is coherent and self-consistent. Geisler provides an interesting example of this. He points out that “all wives are married.” He then says that though this statement is internally consistent, it is an empty statement. The statement does not say anything about reality; rather, it says, “If there is a wife, then she must be married. But it does not tell us that there is a wife anywhere in the universe. It is also possible for a group to contrive statements that by intent misrepresent the facts. Though the stories may cohere, they are still contrived. After all, group lies cohere, but they are still lies. Sincerity does not imply truth. Some believe that truth is determined by good intensions. Slips of the tongue occur thereby communicating a misleading idea the communicator did not intend to present. If something is true because someone intended it to be true, then all sincere statements made by sincere people are true…even those that are absurd. Sincere people are very capable of being sincerely wrong. Unfortunately, democracy does not necessarily lead to truth. In fact, I am of the opinion that because of the sin nature in all people, the majority is usually wrong. People far too often believe that truth is to be found in what feels good…that which give a satisfying feeling. As a result, many “truths” in society are popular among many people. Thus, truth too many is based on subjective feeling and because those feelings tend to spread among people, truth ends up being determined in a popularity contest. Thus, people seemed to be drawn to “truths” that feel good. But bad news can (and often is) true. But if truth is found only in what feels good, then we would need not believe anything that is unpleasant. Geisler defines truth as that which “corresponds its referent.” That may sound like gobbledygook; however, what it means is that truth about reality corresponds to the way things really are. Truth is telling it like it is. Falsehood is the opposite—it does not correspond to the way things really are. Falsehoods misrepresent the way things are and the intent behind them is irrelevant. If a statement lacks correspondence with reality, regardless of motive, it is false. The common principle of societal think is that truth is relative. But the Bible presupposes that truth is absolute and knowable. According to those who promote relative truth, something may be true for one person, but not for all people. In addition, true may be true at one time and not at another time. However, according to the Christian worldview, what is true for one person is true for all persons, times, and places. Therefore, factual truth is that which corresponds to the facts—according to Geisler, truth is that which corresponds to the actual state of affairs being described. So what is wrong with relative truth? Statements cannot be absolutely relative. Most relativists sincerely believe that relativism is absolutely true for everybody. But if they are relativists, this position cannot hold. If relativism were true, then the world would be full of contradictory conditions. For if something is true for me but false for, then opposite conditions must therefore exist. But that is impossible. If relativism were true, there would be no wrongs or rights. No one would—or could—be wrong regardless of what they say. 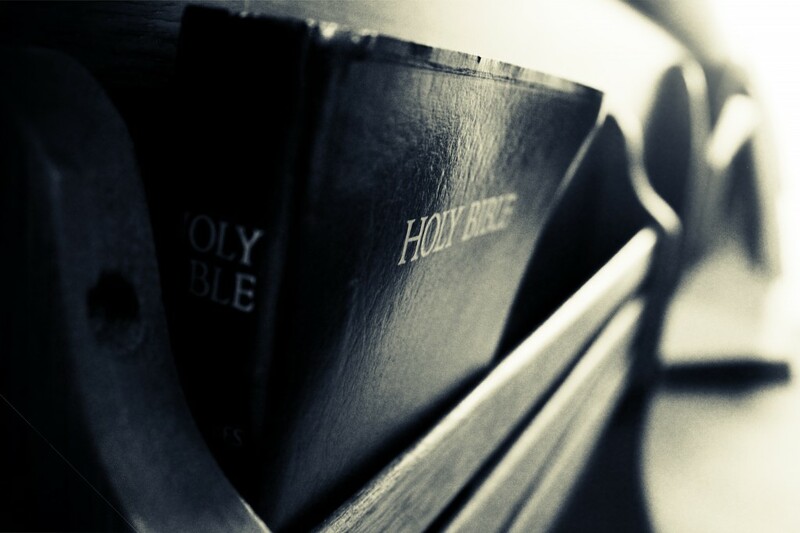 Does absolute truth make Christianity exclusive? Yes, it does. But Christianity is not the only exclusive worldview. Islam is exclusive…they believe that all non-Muslims are infidels. Atheists believe that those who believe in God are mistaken and misinformed—they are exclusive. So, all worldviews exclude all other worldviews. But which one is right. The self-authenticating witness of God’s Holy Spirit demonstrates that the God of the Bible is the one true God. Without God, humanity is immoral and have no basis for a moral code. The universe can only exist because of the intervention of one outside of the universe, i.e. God. Jesus Christ demonstrated His deity as recorded in the Bible. Jesus Christ was crucified and God raised Him from the dead as a testimony to truth of the Bible. Jesus presents two commands for men. The first governs our relationship to God; the second our relationship with our fellow man. The first commandment emphasizes the importance that loving God is to be our preoccupation in life. Sometimes we seem to believe that God needs our service above all, but our primary aim ought to be to learn to know God. I am always drawn to Phil 3:7-11 — But what things were gain to me, these I have counted loss for Christ. Yet indeed I also count all things loss for the excellence of the knowledge of Christ Jesus my Lord, for whom I have suffered the loss of all things, and count them as rubbish, that I may gain Christ and be found in Him, not having my own righteousness, which is from the law, but that which is through faith in Christ, the righteousness which is from God by faith; that I may know Him and the power of His resurrection, and the fellowship of His sufferings, being conformed to His death, if, by any means, I may attain to the resurrection from the dead. The Christian is to be totally dedicated to God (Rom 12:1-2) and filled with the Holy Spirit (Eph 5:18). When our relationship with God is right, we will be righteous before God (Rom 6:16). The second command emphasizes our relationship with others. Love is the great commandment because all other commandments are the outworking of love (Rom 13:10). We show that we have understood God’s love when we love others (1 John 4:11). If we in the Church would put these commands in full practice, the benefits would be great. There would be unity and compassion among Christians. People would look at the Church and see the love permeating the body of Christ—we would actually be “speaking the truth in love” (Eph 4:15-16). When people see us in the Church living the life of love, they will be drawn to Christ and they will be inclined to respond to the gospel of salvation. After all, it is what you are rather than what you say that will bring unbelievers to Christ. Christianity is exclusive because it is true. It is true because God gave His Son to die for us even while we were still sinners. We are, therefore, called to live of life of love for God and others. Is your life a reflection of the love of God for you? Are you willing to give the same grace God bestowed on you toward others? No Replies to "What is Truth?"